Snowdonia National Park dominates North Wales and hosts some of the most dramatic natural scenery in the UK. Ice-sculpted crags, tumbling waterfalls and scree-strewn mountain peaks adorn the landscape and there are enough tracks and trails to keep the energetic occupied for months. Camping in Snowdonia provides the genuine outdoor experience and while the weather is predictably unpredictable, we can still grantee you’ll find the best campsites around. Browse our handpicked selection of luxury glamping and traditional campsitesor use the filters to refine your search further. Laid back glamping in the breathtaking wilds of Snowdonia. Amazing vertical, rocky scenery all around and a whole gamut of challenging walks onto it. Beaches, horses, views – all on the edge of a national park. 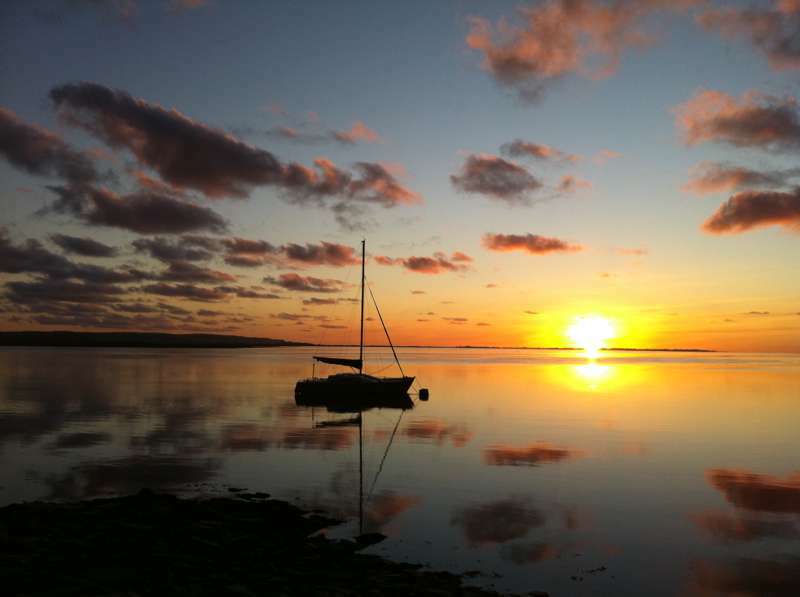 Privvy to west-coastfacing sunsets that rival any in New Zealand. Snowdonia National Park dominates North Wales and hosts some of the most dramatic natural scenery in the UK. Ice-sculpted crags, tumbling waterfalls and scree-strewn mountain peaks adorn the landscape and there are enough tracks and trails to keep the energetic occupied for months. And that’s not to mention this part of North Wales’ magnificent coastline: sandy beaches line the way and are separated from Wales’ highest peak, Snowdon, by a mere 10 miles. Camping in Snowdonia provides an outdoor experience that’s hard to forget and while the weather is predictably unpredictable, we can still guarantee you’ll find some of the best campsites in the UK here. Both campers and glampers are well-catered for on the campsites of Snowdonia and North Wales and here at Cool Camping we’ve done our utmost best to bring together a selection of the very best of them. Snowdonia has been attracting adventurers for decades – it was even a training ground for Tenzing Norgay and Edmund Hillary before their Everest success in 1953. All these adventurous types need places to stay near the peaks and crags they want to conquer and, as a result, there are lots of campsites close to Snowdon and the other mountains of the national park. 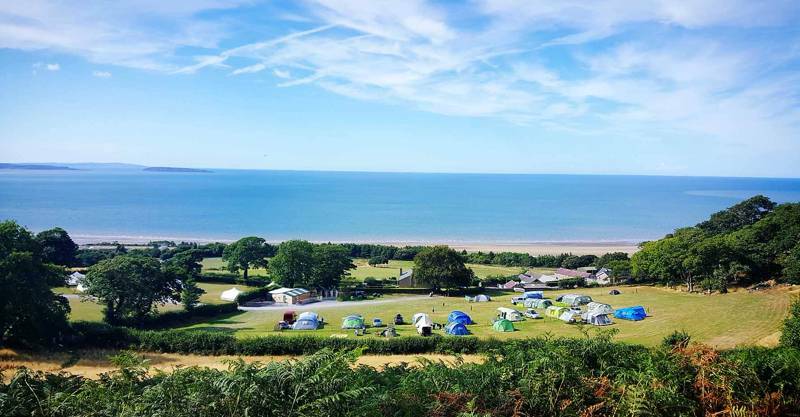 We’ve listed some of the best of them here along with idyllic campsites near the North Wales coast and hidden gems in pristine valleys. Whether you’re after a simple pitch with a view, a campsite within walking distance of Snowdon or a campsite that allows campfires within the national park, you can use our “Refine Search” feature to narrow the field and hone in on your perfect Snowdonia campsite. If your perfect pitch is one that’s got a bell tent, yurt or tipi set up and waiting for you – fear not: the Cool Camping team are au fait with the world of glamping too. 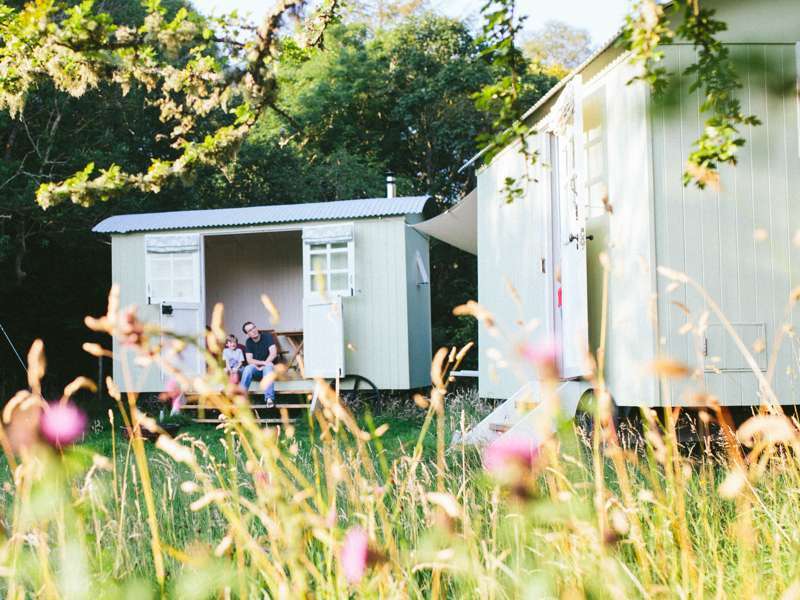 As well as regular campsites, we’ve sought out some of the best glamping sites in Snowdonia so if you fancy staying somewhere a bit more luxurious after days out exploring, you’ve come to the right place. Treehouses, shepherd’s huts, geodesic domes, gypsy caravans, gleaming Airstreams and luxury tents… we’ve seen them all and stayed in them all and have picked out only the places that we think offer something special to feature in our collection of Snowdonia glamping sites. 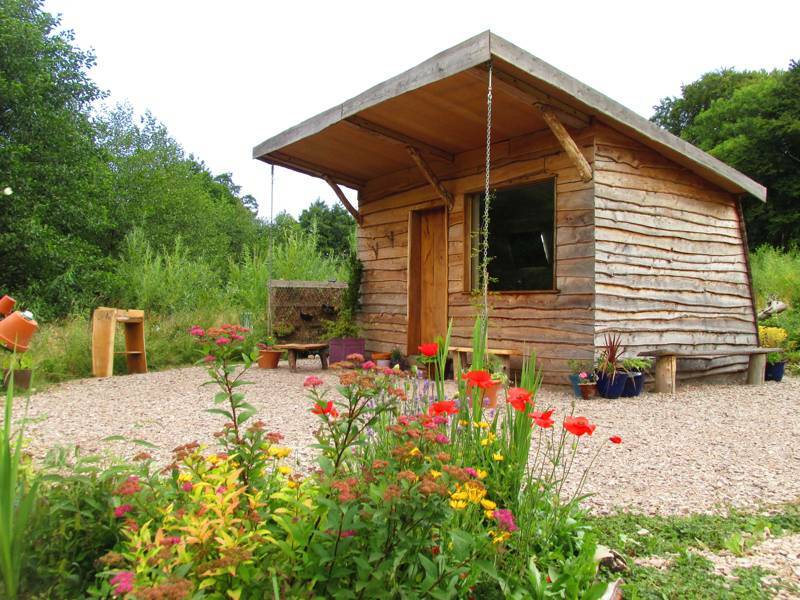 As with the camping sites, you can use the Cool Camping “Refine Search” feature to sift through glamping sites and find the place you want to stay. If you only want to stay in a place with electricity, its own bathroom, or even its own hot tub – just tick the relevant box and let our site do the hard work for you! Whether you are looking to go glamping or camping in Snowdonia, you’ll find places that are perfect for the whole family. Camping is pretty much always a welcome adventure for kids and choosing an adventurous location like Snowdonia can work as well for families with tiny tots as it can for parents of teenagers. Many sites are set up with baby-change facilities and some larger sites may have play equipment for kids but it’s likely that the great outdoors itself will provide entertainment enough. There are streams to dip in, trees to climb and trains to wave at. Days out are easy too with plenty of fun places to visit including the seaside. And some of those mountains, Snowdon among them, are accessible enough for teenagers and hardy kids to conquer. If your family extends to a four-legged friend, there’s no worries either. There are plenty of dog-friendly campsites in Snowdonia, Welsh beaches almost all allow dogs and, as it’s perfect walking country, waggy tails are almost guaranteed! There’s something truly special about watching the setting sun cast shadows across mountains and about the peaks retreating to become inky blue silhouettes against a starry sky. In our opinion there’s no better way to witness such natural drama than from the comfort of a perch by a campfire on a campsite in the shadow of mountains. And what about waking up and unzipping the tent to views of towering peaks and crags? There are plenty of campsites in Snowdonia that offer stunning backdrops. The national park is one of Britain’s biggest: covering more than 800 square miles of North Wales, with more than half of that covered in high peaks – if you’re looking for a campsite near mountains in the UK, a visit to Snowdonia will not disappoint. If you’re in the area to reach the summit of Wales’ highest mountain, choose one of the campsites near Snowdon itself and bear in mind which of the routes up the mountain you’re intending to tackle before selecting your site. If you can forget about the car and set out on walks from the place you’ve pitched your tent, so much the better. Snowdonia National Park includes 23 miles of coast but with the Llŷn Peninsula, sometimes called, “Snowdon’s Arm” and the north-west corner of Wales that’s annexed by the national park included: the region tots up an impressive 200-miles of shoreline. From seaside resorts and bustling towns to quiet nature-rich sites, there’s a bit of beach for everyone and plenty of beachside campsites to choose from too. 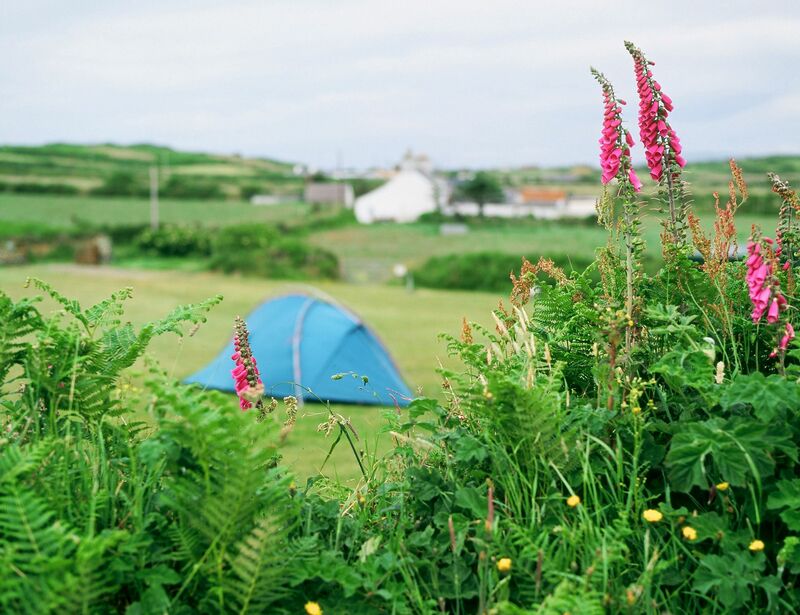 You can find a pitch with a sea view but still be within easy reach of the mountains so you get the best of both worlds and there are glamping options too. But whether you like to put up your own trusted tent or choose a glamping yurt or bell tent near the beach in this part of north Wales, there’s nothing quite like waking up to the sound of waves lapping the beach and the smell of salty air. There are six different paths up Wales’ highest mountain – each offers a round trip of about eight miles, which take an average walker around six hours. Snowdon, or Yr Wyffda as it is properly known in Welsh, is 1,085 metres (3560ft) high. Plenty of people make their way up-top to enjoy the spectacular views and a sense of achievement. If you’re fit and able it’s well worth the walk but if the climb doesn’t sound like your idea of a holiday, you can always take the train! Find out more about walking up Snowdon at the Visit Snowdonia website which has links to the latest information and mountain weather reports. There’s much more to Snowdonia National Park than its most famous mountain. There are, in fact, 15 other peaks which top out at over 3,000 feet for starters – all of which are likely to be a little less busy. The national park includes 823 square miles of protected landscape with almost endless opportunities for walking, hiking, mountain-bike riding, climbing and other active adventures as well as beautiful streams, waterfalls and lakes to meander along and plenty of historic villages and towns to visit too. Wales is criss-crossed with heritage railways. Some were built to serve mines and quarries, others have always been tourist attractions but all offer a great way to relax and enjoy the scenery of this beautiful part of the world as well as a taste of life in times gone by. Snowdon has some of the most scenic railways – how about a ride through 40 miles of beautiful countryside on the Ffestiniog and Welsh Highland Railway? Or, if you’re not keen on trekking up Snowdon, take the train to the summit on Snowdon’s Mountain Railway. Snowdonia National Park claims between 20 and 30 miles of beautiful coastline but spread your wings a little further and you’ll find 200-miles of coast which is great for walking, watersports and, of course, a spot of paddling. If you’re not camping or glamping near the beach in Snowdonia, it’s still worth taking a day trip and there are beaches to suit all tastes. 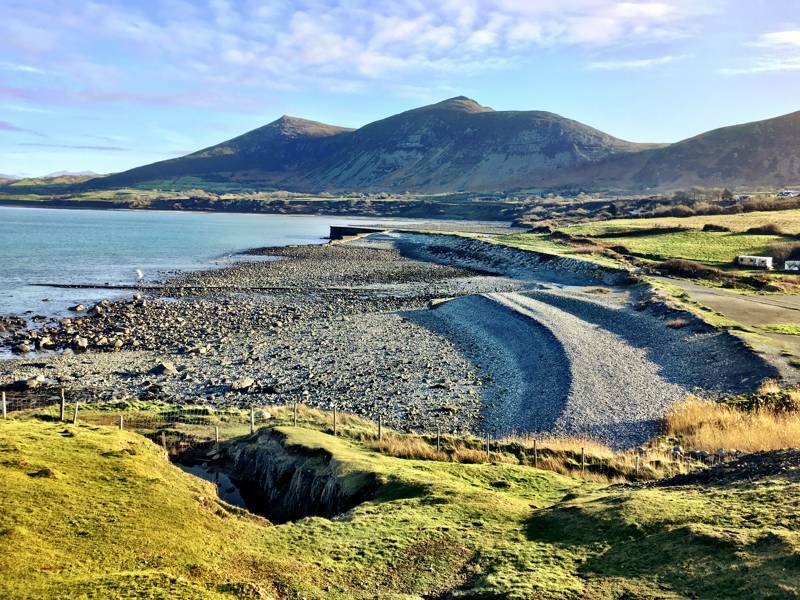 For traditional seaside fun head for bustling Barmouth, for surfing you might like to head for the waves at Tywyn and for a more sedate day of birdwatching, perhaps try the Traeth Lafan Nature Reserve. Slate mining is the industry that shaped North Wales. Slate provided the tiles on houses, jobs for people and has left scars across the landscape. You can learn all about the industry at the Llechwedd Slate Caverns at Blanneau Ffestinniog where you can travel far underground to see what life was like for the miners. Alternatively, you can also head underground and find about the smaller industry of copper mining with a visit to the Sygun Copper Mine in the heart of Snowdonia National Park. Dare yourself to ride the fastest zip line in the world or perhaps the longest in Europe at Zip World. Opened in 2013, this adrenaline-fuelled activity centre has quickly made Wales the zip-lining capital of the world. The success of the operation means it keeps on growing with more and more exciting adventures being added at multiple sites. It’s not cheap but when else can you “fly” (or more accurately zip) headfirst at 100mph over a former slate mine and come out unscathed? And where else will you get the chance to bounce around on a trampoline that’s suspended way above the floor of a subterranean slate cavern? It’s always good to have a few wet weather ideas tucked up your sleeves on a camping or glamping holiday in Wales and visiting a castle is a great way to spend a day, come rain or shine. Within Snowdonia National Park, you could check out the photogenic 13th- century Dolwyddelan Castle, built by Prince Llywelyn Fawr (or Llewellyn the Great) and said to be worth the trip for the views alone. A little further afield on the banks of the River Conwy is a better-known 13th-century fortification, Conwy Castle which, together with the town’s well-preserved medieval town walls, forms a well-known visitor hotspot. Further west, on a different waterfront is the imposing Caernarfon Castle, which together with three other castles built by King Edward I, form a World Heritage Site. The amazing beaches mean there’s plenty of places to surf Atlantic waves. Try Tywyn beach with its five miles of golden sands or, if you’re a beginner, how about taking some lessons at the world’s first inland surf lagoon? Surf Snowdonia is a man-made, purpose-built artificial wave pool (on a big scale) where you can have lessons in the art of surfing in a place where the waves can be predicted. Wales certainly has a lot of water and a lot of beautiful waterfalls so while glamping in Snowdonia it’s likely that you’ll come across a few. Some are so enchanting though, you might want to make a special trip. Swallow Falls on the River Llugwy is highlighted as one of the most romantic falls in the country by the tourism experts at Visit Wales, along with Dogloch Falls which can be reached via a lovely 4km woodland walk. In the south part of the national park there’s also Rhaeadr Ddu, which can be visited on a walking route promoted by the National Trust. With so much coast and country, it’s no surprise that North Wales has some amazing food on offer. Tuck in to a hearty cawl (soup or broth) made with Welsh lamb at a country pub, try some laverbread (seaweed) or shellfish from the coast or pick up a Welsh cake or a piece of bara brith (fruit loaf) as a tea-time treat. 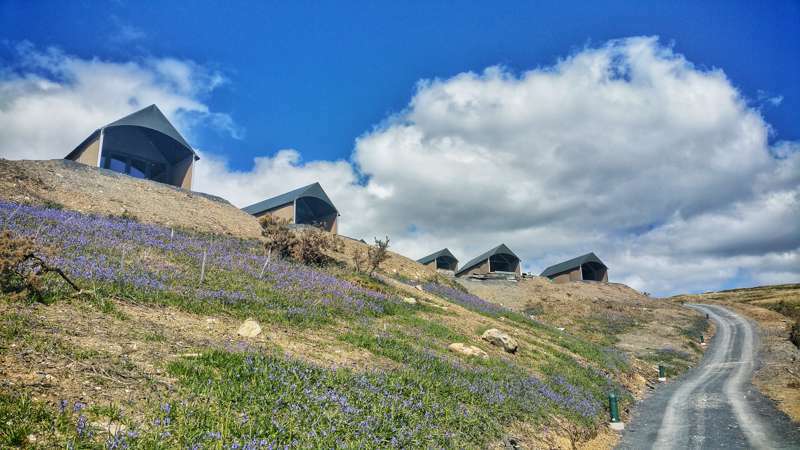 Snowdonia National Park Snowdon Snowden mountains lakes wales north wales camping cmapsites glamping at Campsites in Snowdonia, Make the most of the mountains with this collection of the best campsites in Snowdonia, chosen by the experts behind the Cool Camping guidebooks. Including riverside campsites, woodland campsites, dog-friendly campsites, campsites for hikers and much, much more, this compilation of the best campsites in Snowdonia National Park will be the perfect inspiration for your next outdoor adventure!